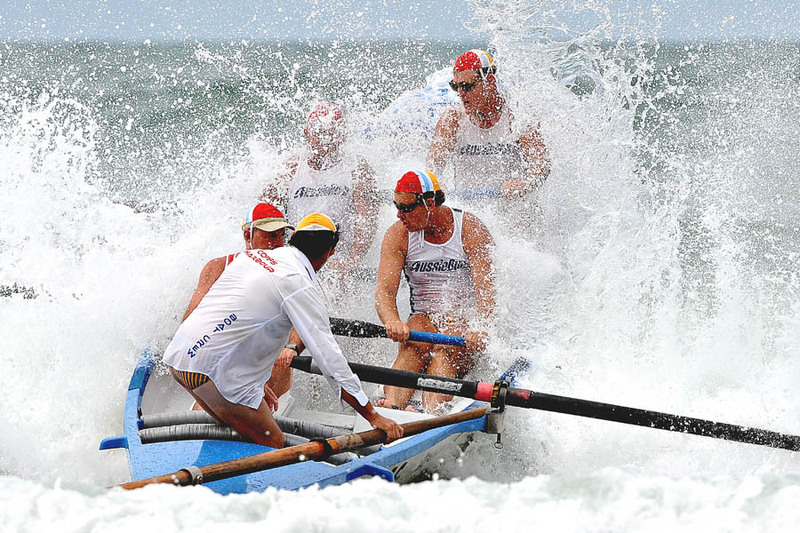 Initially the surf boat was developed as a rescue craft, however the introduction of inflatable rescue boats (IRB’s) and jet skis meant that the surfboat was no longer used a rescue craft. 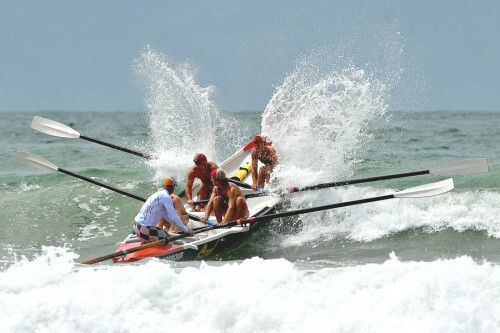 Although no longer used in rescues, intense regional, state and national boat competition and the incredible commitment and enthusiasm of thousands of participants, and in recent years a massive increase in female crew members, has kept this challenging and thrilling sport alive. 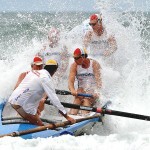 Surf boat races involve four rowers and a sweep in an eight metre surf boat, with a maximum of seven crews in each race. 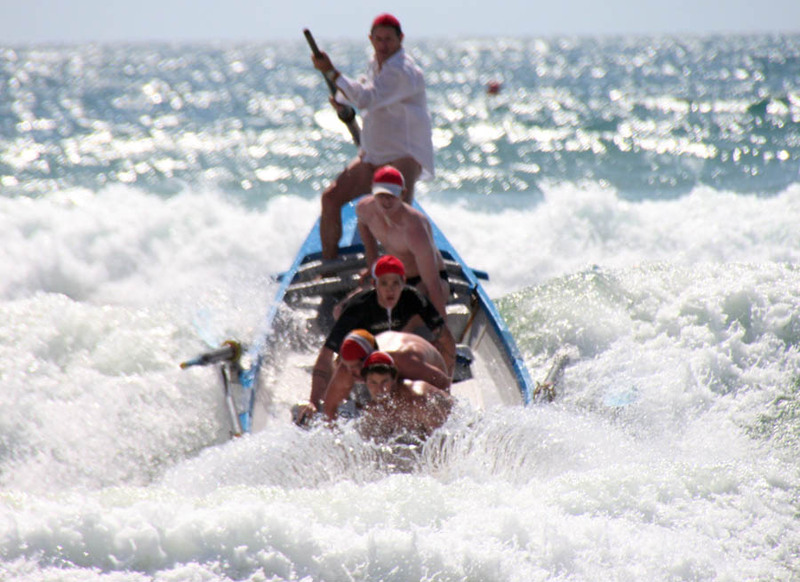 The course consists of a start in approx knee depth water, then a 400m row out to sea before rounding a turning buoy and then a 400m return back to the waters edge. 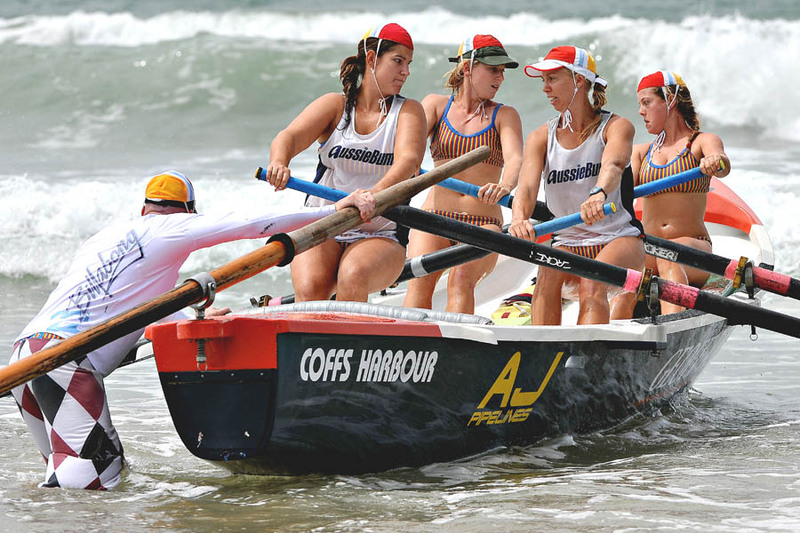 The Coffs Harbour Club is always on the lookout for new rowers to nurture through our surf boat rowing program, especially junior crews (U/19 & U/23) as they represent the future of our sport. 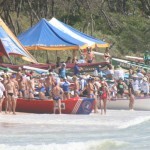 Crew members must be volunteer Surf Life Savers (Bronze Medallion holders) and 16 years of age to compete. 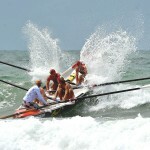 The rowing discipline commands a high level of fitness, commitment and skill. 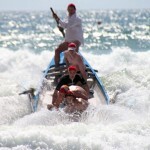 Competitions typically commence around October-November and run through until the National Titles in late March. 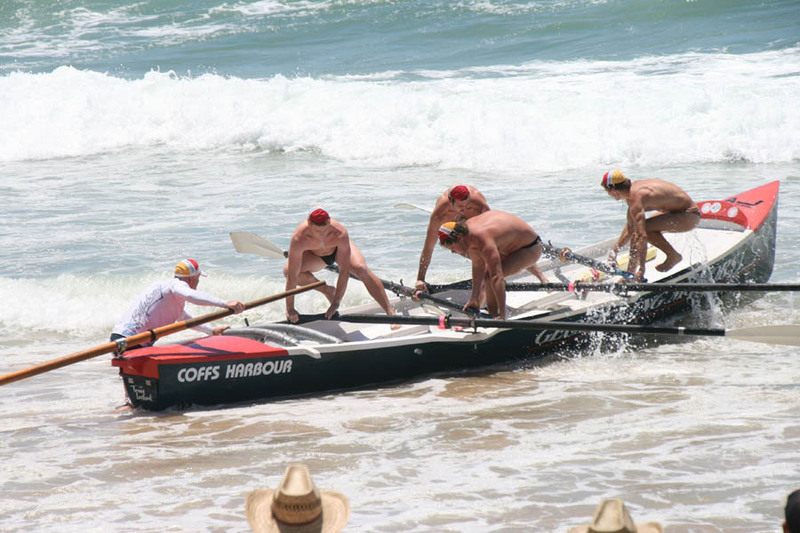 During this period the Coffs Harbour Club crews compete in the North Coast Surfboat Premiership which involves clubs from the Queensland border in the north to Foster in the south and at the Country, State and National Titles. 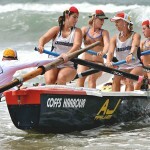 To find out more about what is involved in surfboat rowing at the Coffs Harbour Surf Club simply contact the boat captain below.